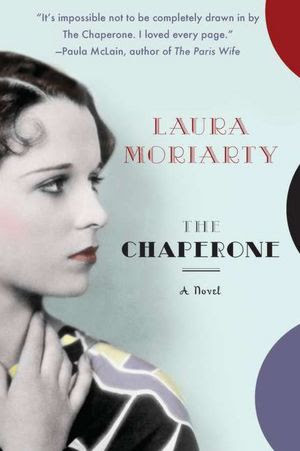 The Chaperone [Book Review] – my books. my life. When Cora agrees to accompany the not-yet-famous Louise Brooks from Kansas to New York City to attend a modern dance program, she has her own reasons. On her quest to learn about her past, she discovers much more. There was a lot of hype around this one. Which, unfortunately, led me to be a bit disappointed in what I would have otherwise found to be an enjoyable book. I liked it well enough. I just don’t see why it is as amazing as everyone else seems to think it is. I guess it’s just one of those books. I like what Moriarty did here. She took a well-known person, found an unknown minor character in her life, and structured a story around that character. It’s a fun way to create historical fiction. I love that kind of historical fiction! Bringing minor characters to life is so cool. I am hoping to listen to this one on audio, though I have heard that the narrator’s voice is a tad annoying. I am a big historical fiction nut, so this is a must read for me. I am sorry that you didn’t enjoy it as much as you had hoped you would. Agree with you – it was good, not amazing.